Eid Al-Adha marks the end of the Hajj or holy pilgrimage, which is one of the five pillars of Islam. Often Muslims celebrate this occasion over a period of several days, making special prayers, visiting one another and enjoying festive meals. HEALTH explains the concept of Eid Al-Adha. While many non-Muslims understand the significance of Eid Al-Fitr after an entire month of fasting in Ramadan, there’s less awareness surrounding Eid Al-Adha. 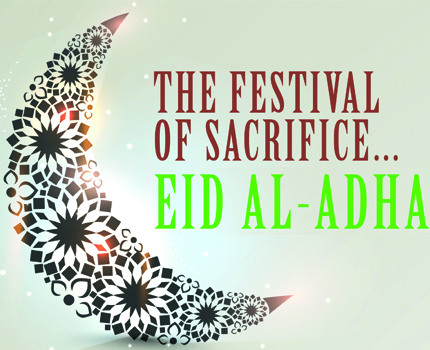 The Festival of the Sacrifice or Eid Al-Adha is one of two major Islamic celebrations which takes place on the tenth day of the Islamic month Dhul-Hijjah, the last month of the Islamic calendar. Millions of Muslims from around the world make an annual pilgrimage to Makkah in order to worship Allah (God) and to commemorate the willingness of the Prophet Ibrahim (peace be upon him) to sacrifice his son Ishmael in response to a command from God. Satisfied with Ibrahim’s devotion, God replaced Ishmael with a sheep at the last second, and the sheep was slaughtered instead. While pilgrims in Makkah re-enact this scene by slaughtering sheep of their own, Muslims who can afford it in the rest of the world also participate in this rite by slaughtering sheep, camels and cows. Different cultures have their own celebratory dishes for Eid, but the main focus on Eid Al-Adha is meat. On the first morning of Eid Al-Adha, Muslims around the world attend morning prayers at local mosques. Prayers are followed by visits with family and friends with an exchange of greetings and gifts. At some point, members of the family will make arrangements for the slaughter of an animal. The meat is distributed during the days of the holiday or shortly thereafter. One-third of this meat is eaten by immediate family and relatives, one-third is given away to friends, and onethird is donated to the poor. The act symbolizes our willingness to give up things that are of benefit to us or close to our hearts, in order to follow Allah’s commands. It also symbolizes our willingness to give up some of our own bounties, in order to strengthen ties of friendship and help those who are in need.